Kyle Farnsworth is 40, hasn't played in the majors since 2014 and has dabbled in football, but he isn't retired from baseball. The big righty has kept his pitching career alive in Mexico. Morning Briefing: Saul wanted Fred to sell? WASHINGTONFIRST PITCH: The Mets wrap up a weekend series in D.C. on Sunday, with Juan Lagares expected to be in the starting lineup for a second straight game. WASHINGTON -- Entrusted with a late-inning role in his Houston Astros debut Saturday, Kyle Farnsworth had a rocky showing.Farnsworth entered for the eighth inning with the Astros leading the Chicago White Sox by three runs. 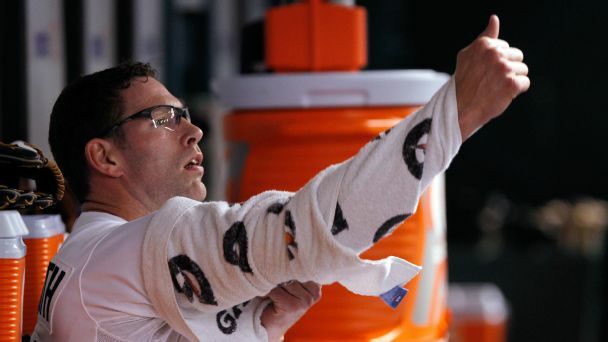 The Houston Astros have signed reliever Kyle Farnsworth to a major-league deal. WASHINGTON -- Kyle Farnsworth's intent to get revenge against the Mets will have to wait a while. 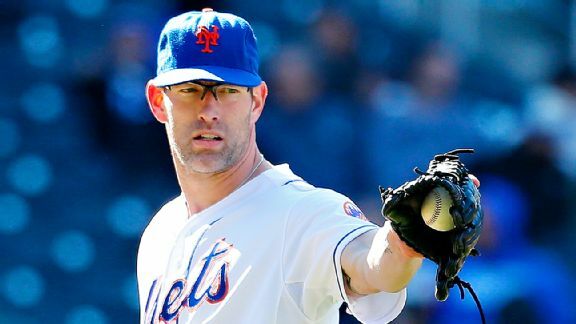 Kyle Farnsworth #44 RPNew York Mets 2014 STATS GM19 W0 L3 BB6 K10 ERA3. Morning Briefing: Happy Juan Day! WASHINGTONFIRST PITCH: The Mets, losers of three straight, look to get back on track Saturday at 4:05 p.m. at Nationals Park.Bartolo Colon (2-5, 5. Kyle Farnsworth #44 RPNew York Mets 2014 STATS GM19 W0 L3 BB6 K10 ERA3.18 WASHINGTON -- Kyle Farnsworth, dropped by the Mets on Wednesday night, will sign a deal by Saturday with the Philadelphia Phillies or Cincinnati Reds, Jim Duquette tweeted. NEW YORKFIRST PITCH: After getting shut out in back-to-back games at home to split the Subway Series with the Yankees and drop two games under .500, the Mets (19-21) play a weekend series in D.
NEW YORK -- Sandy Alderson acknowledged there was a financial motivation to dumping Kyle Farnsworth on Wednesday, just as there is a financial component to any decision. The team leader is saves so far this season for the New York Mets is Kyle Farnsworth, who has successfully closed out three victories for the team. However, that total will not be getting any higher, as the Mets unexpectedly and unceremoniously released the veteran pitcher on Wednesday.